I stumbled across the new Papersmiths store in Boxpark Shoreditch this weekend and it took all my self control not to pick up everything I saw. The shop is arranged simply by colour which makes it easy to browse. 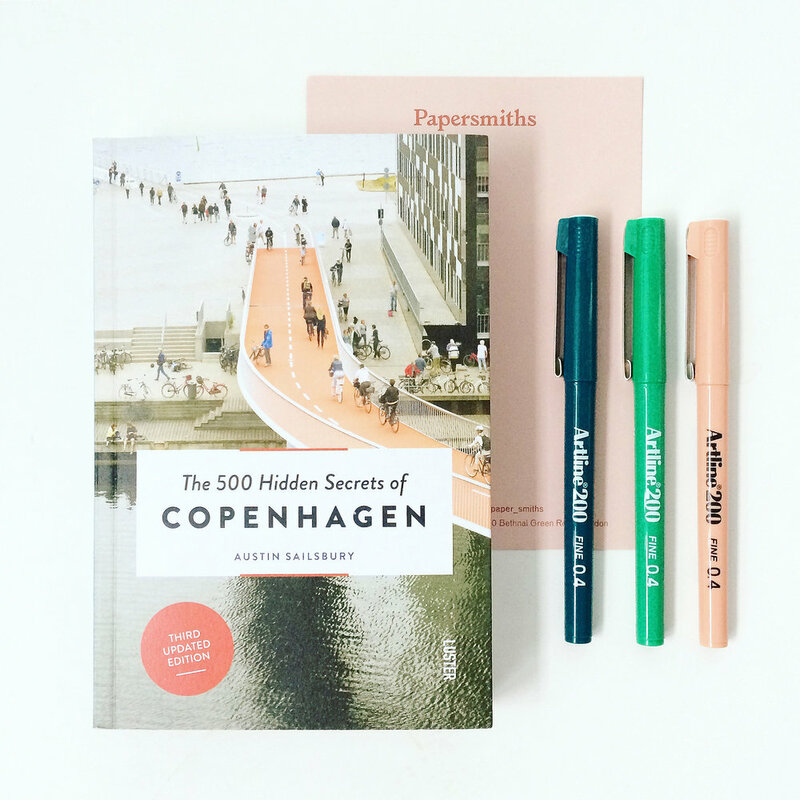 I'm visiting Copenhagen later this year so I bought this sweet travel book from @500hiddensecrets. And then I couldn't resist buying a small selection of the 0.4 Artline Fineliners. I played with the pens this morning, here's a little sneak peek at what I've been drawing. This week is National Stationery Week. I thought I'd share a link to one of my favourite companies, Rifle Paper Company. I bought this card on my recent trip to New York and it sits on my desk and makes me pine for the city every day. All of the Rifle Paper Company stationery is designed by one of their founders Anna Bond. 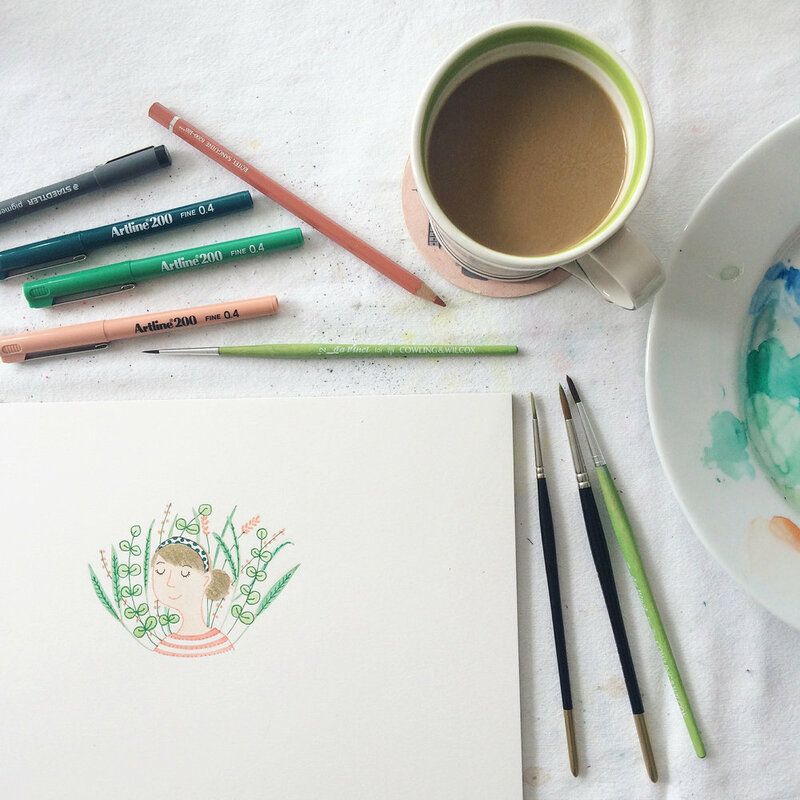 The company has a beautiful aesthetic and palette. Best to hide your credit card away before you take a look.